The Abakus team are proud to announce that the latest collaboration which they did was with the Hugo's Group. 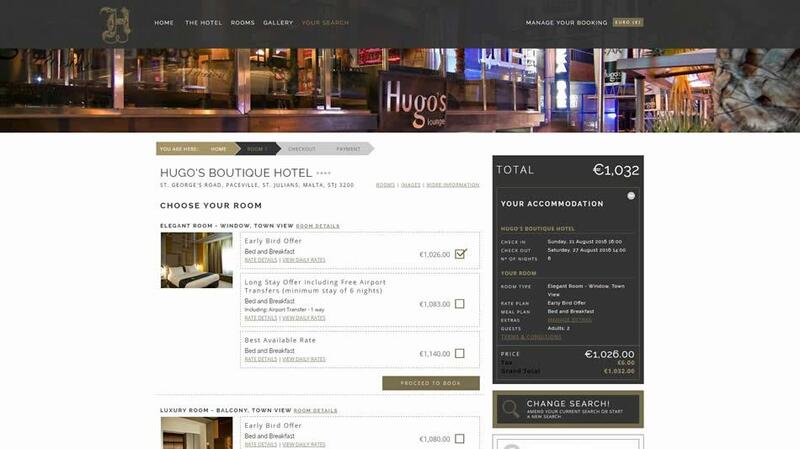 Abakus were entrusted with the design and development for the portal for Hugo's Hotels. 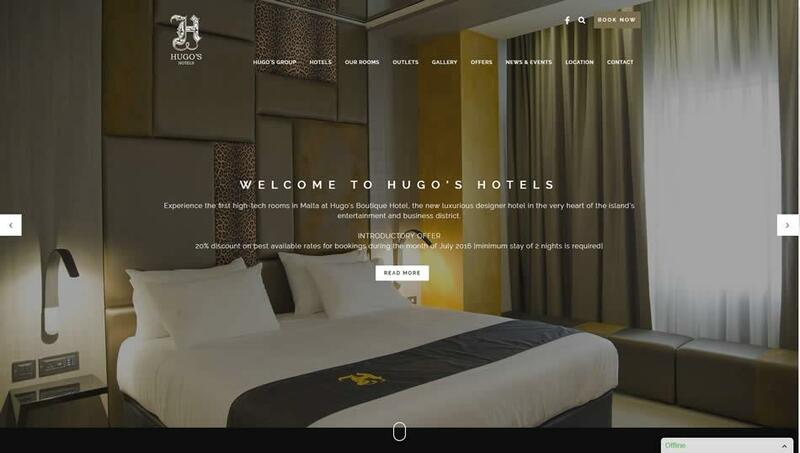 The brief given to the Abakus team was to create a website which not only represented the luxurious Hugo's brand, but which also conveyed the designer touch of their property. The ultimate result was a responsive website which not only serves as a marketing tool, but which also gives their clients the opportunity to book their stay directly with them through addaJet's flagship online booking engine.